For the millionth time, I tip my hat to green cleaning guru Annie B. Bond. 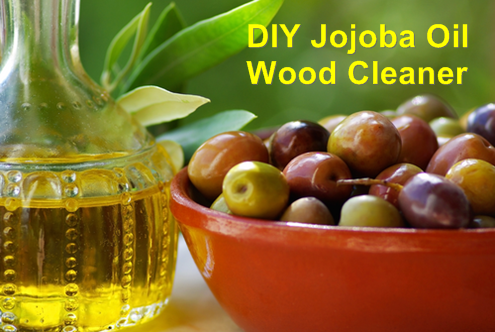 In Cleaning Problems Solved, she suggests adding a few drops of jojoba oil to 1/2 cup white vinegar to create an improved wood cleaner. There is no risk of it going rancid, which can't be said of vegetable and olive oils, which are in many homemade recipes (including the one I've been using). It's actually a liquid wax, not an oil, so it won't be as greasy-feeling. Jojoba oil is wonderful for skin. I can't wait to see what it does for my wood furniture! Read the full article from Whole Living magazine for more tips to trick out your green cleaning routine. Order organic jojoba oil from Mountain Rose Herbs to support this blog and earn karmic huggles.